[tps_footer]The heartthrob of the Indian Cricket Team, Yuvraj Singh is much in news lately for his rumored engagement. 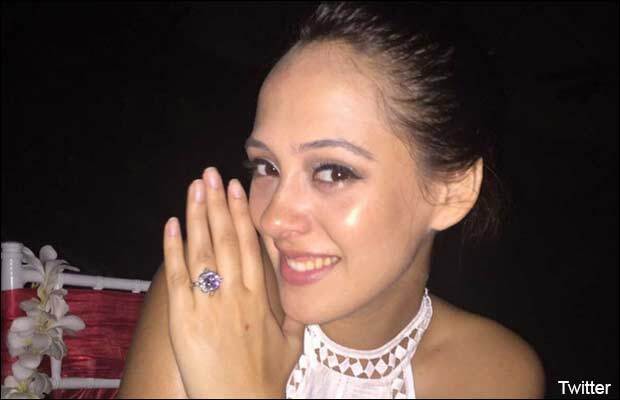 After confessing that he is single and not engaged, various reports suggest that the star cricketer has indeed got engaged to model and actress Hazel Keech in a secret ceremony in Bali. With the tweet it was almost clear that there are no wedding bells ringing for Yuvraj Singh. After the speculations died down, the engagement rumors have again sparked up. Reports opine that the two love birds Yuvraj and Hazel tried hard to keep their union a secret affair; however the pictures of the two made way to the micro blogging site twitter. The picture of Hazel flaunting a diamond studded engagement ring along with Yuvraj is making waves on the social media already. One of the pictures also features Yuvraj and Hazel wearing a flower garland holding hands. 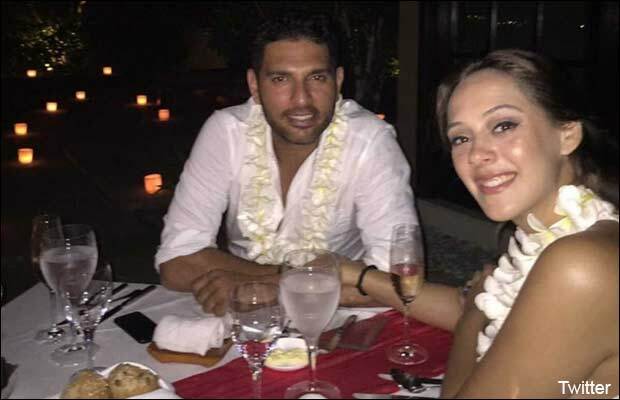 Well we guess this much is enough for us to know that Yuvi is off the bachelor list now. Reports suggest that the two got united in the scenic location of Bali. For all those who are still wondering who is Hazel Keech, she is a model turned actress and known for her role in the film ‘Bodyguard’ starring Kareena Kapoor Khan and Salman Khan. Hazel played the role of Kareena’s best friend in the film. After Harbhajan Singh, we guess now it’s time for Yuvraj to tie the knot. Can’t wait! 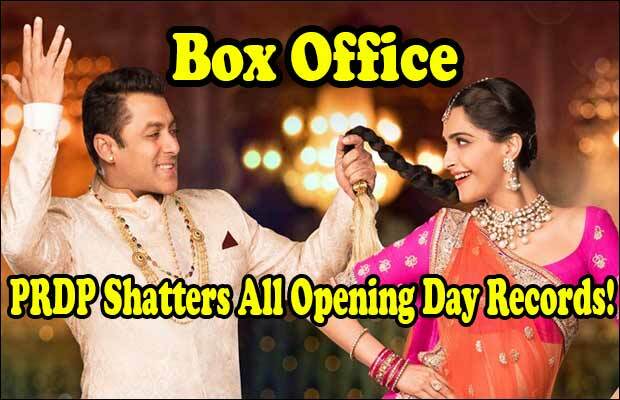 Also Read: Box Office: Salman Khan’s Prem Ratan Dhan Payo Shatters All Opening Day Records! Also Read: Bigg Boss 9 With Salman Khan: Everyone Fighting, Situation Turns Ugly During Diwali! Next articleBigg Boss 9 With Salman Khan: Guess The New Captain Of The House!